Though still positive, home builder sentiment has plateaued in recent months. This was a point we noted last week when the NAHB’s sentiment index was released. We’re not surprised that sentiment has plateaued, given that starts have plateaued. Now, it appears that new-home sales have also plateaued. March sales posted at 511,000 units on an annualized rate, which is on the low-end of most expectations. The consensus estimate among economists was for sales to post at 525,000 units. Somewhat surprisingly, pricing still hasn’t gained traction. Discounting is prevalent. The median price of a new home dropped 3.2% in March to a median $288,000, Year over year, the median price of a new home is down 1.8%. The median price is a national number, which may or may not apply to the local market. We’re finding that pricing remains tight in lower-end homes. The discounting appears to be occurring mostly in the upper echelons. Many potential first-time buyers, particularly younger first-time buyers, are still having a rough go of it if a new home is their preferred choice. That said, the new-home market is approaching equilibrium. Sales relative to supply has improved to 5.8 months. Supply at six months relative to sales is considered the norm. 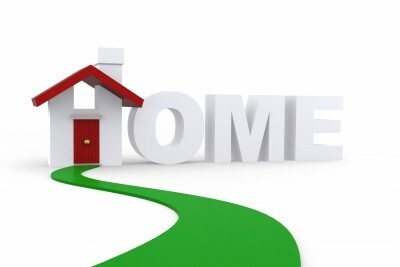 The good news is that existing-home sales are gaining traction. Sales rose 5.1% to 5.33 million units on annualized rate in March. The sales spike wasn’t entirely unexpected. February was a sour month, with sales down 7.3%. Even with a lousy February, existing-home sales for the quarter were up a respectable 4.8%. Better yet, single-family homes led the charge, with sales up 5.5% last month. As for pricing, the median price of an existing home rose 5% to $222,700. Of course, this, too, is a national number. Western markets, led by San Francisco, Denver, Portland, and Seattle, continue to show the strongest price gains. We haven’t seen all the data, but we suspect that much of the price appreciation is concentrated in the lower end of the market, which can be high. The lower end of the market in many West Coast states is priced like the higher end of the market in other markets across the country. That said, there’s good reason to remain upbeat as we head into the summer months. The market today has a Goldilocks feel about it: not too cold, not too hot, just about right. That’s how a healthy market should feel. Exuberance is nice in small doses; depression is always lousy, regardless if the dose is large or small. We prefer an even keel over the extremes. This is what we have today.